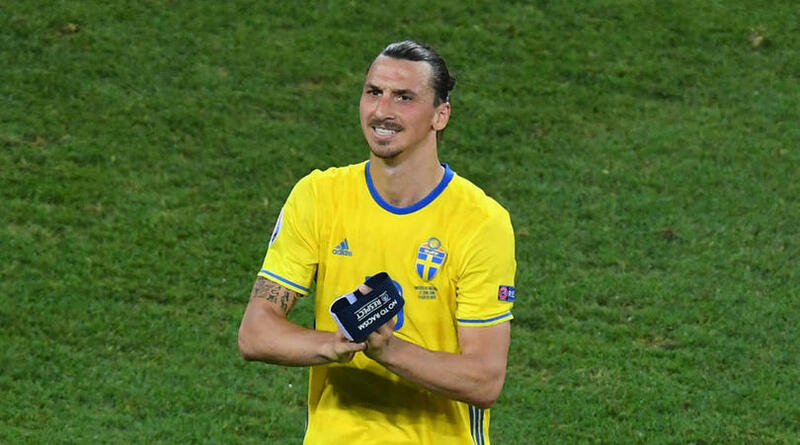 Zlatan Ibrahimovic thinks Sweden’s players all deserve to be given a Golden Ball award for their efforts at the World Cup. Sweden exited Russia 2018 on Saturday after a 2-0 loss to England, who will face Croatia for a place in the final of the tournament. But Sweden over-achieved against expectations even without the services of Ibrahimovic, who was impressed with Janne Andersson’s side. ‘Every player should get a Golden Ball in Sweden,’ Ibrahimovic wrote on Twitter. Wayne Rooney – set to cross paths with the ex-Sweden international in MLS after joining DC United – was quick to tease his old Manchester United teammate, though. ‘How you feeling today mate @Ibra_official?’ ex-England captain Rooney posted on Twitter. Ibrahimovic has also lost a bet with David Beckham, meaning he will have to watch an England game at Wembley with the ex-LA Galaxy star. Beckham had promised to buy Ibrahimovic whatever he wanted from Ikea if Sweden triumphed in Samara.